The Keizer City Council will be dedicating more time to the issue of marijuana sales in the near future. 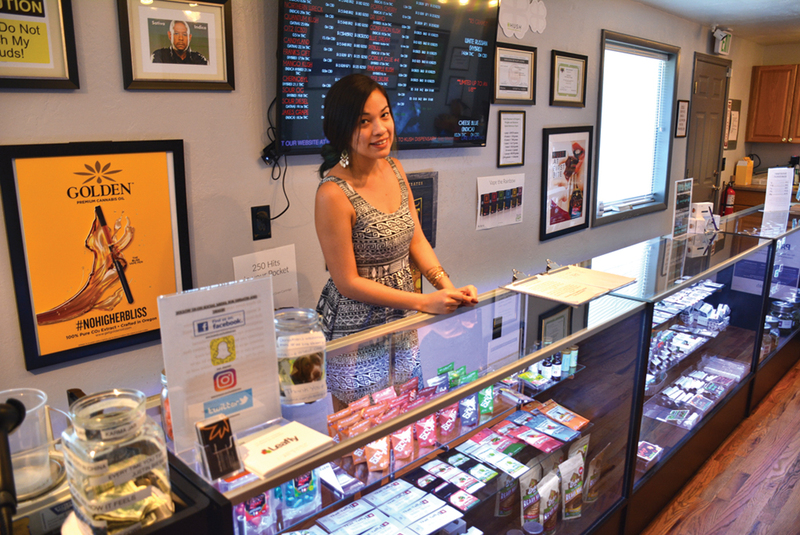 At the July 17 meeting of the council, David Gor, owner of Kush Dispensary of Oregon on River Road North, asked the council to reconsider limits on the times marijuana retailers can be open. Under the current Keizer regulations on marijuana, retailers/dispensaries can only be open between 10 a..m. and 7 p.m.
“A change in the current time to 7 a.m. to 10 p.m. daily will allow us to be competitive with other dispensaries in the Salem-Keizer area. About 25 percent of sales come after 7 p.m., according to my friends in the business,” Gor told the council. The restrictions on time were the result of the original Oregon statutes governing medical marijuana sales, recalled Nate Brown, Keizer community development director. “Those have changed and it’s been an evolving situation,” Brown said. Brown didn’t think the time restrictions on marijuana sales even came up during task force meetings on the subject, precisely because it had already been decided on the state level. One of Gor’s employees also attended the meeting with a petition signed by about 200 of the business’ customers requesting the change. She told the council she collected all the signatures in the three days leading up to the meeting. He added that expanded hours would be more in-line with what Salem dispensaries offer. Salem does not have a curfew for marijuana business. If the city changes the permitted hours, it would affect all Keizer-based marijuana shops. Gor fielded a few questions from councilors, including one from Councilor Roland Herrera about the breakdown of medicinal vs. recreational sales. Recreational sales account for about 90 percent of the business, Gor replied. “Renewing medical card is about $400, and many of our medicinal customers don’t spend $400 in taxes (on their purchases) so they pay recreational prices,” Gor added. Councilor Amy Ryan asked Brown whether making a change would be hard to do, and if the current businesses have had any negative impacts. “Marijuana is one of the few things that we regulate. What impacts and negatives there might be, I couldn’t say until we have the conversation,” Brown replied. The council directed staff to prepare a report on the issue. Ryan requested that Police Chief John Teague chime in on the matter regarding public safety angles.